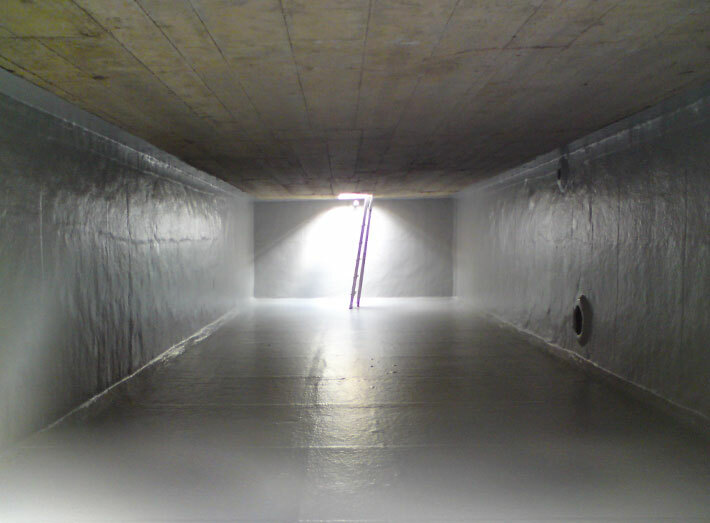 Repairs were made to cracked areas of concrete water storage tanks with a leak resistant GRP lining, creating a waterproof tank within a tank. 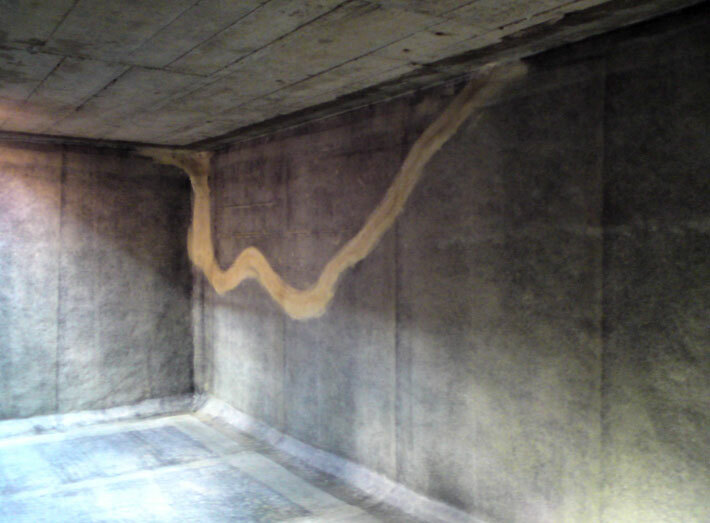 Sui Generis applied a leak resistant GRP (fibreglass) lining system to two concrete water storage tank in Chelsea, London. Call our specialist team to discuss your requirements, quote and get a FREE site survey: 01206 798 798. 1. 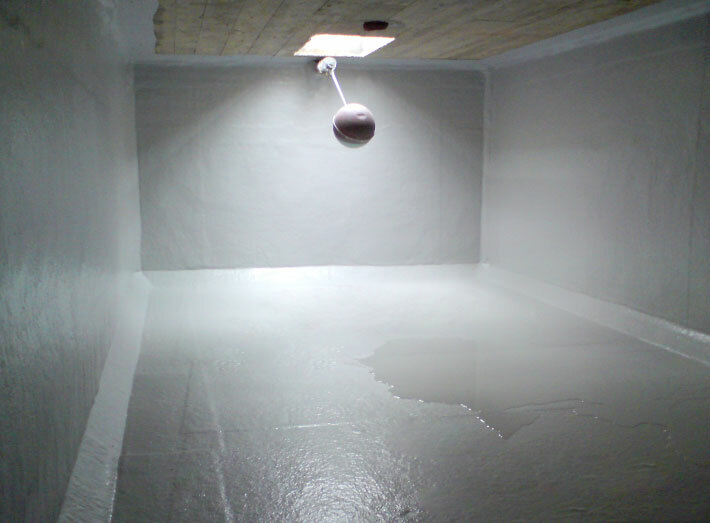 Concrete water storage tank with completed waterproof GRP lining system - a tank within a tank. 2. 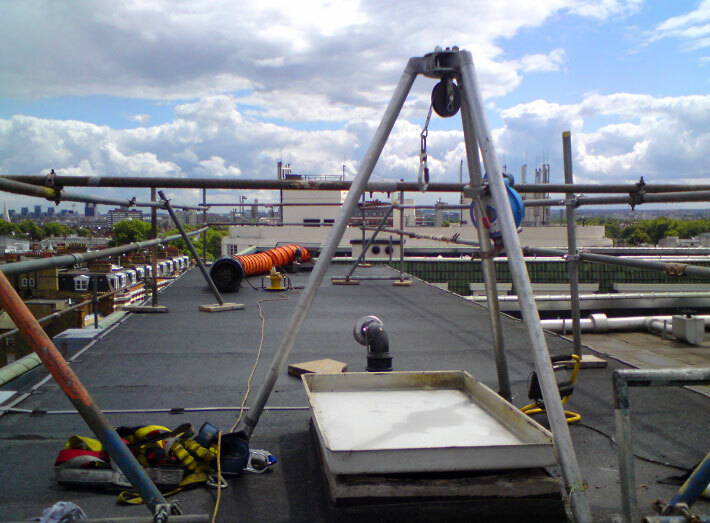 Roof top access view - fibreglass lining of two water storage tanks in Chelsea, London. 3. 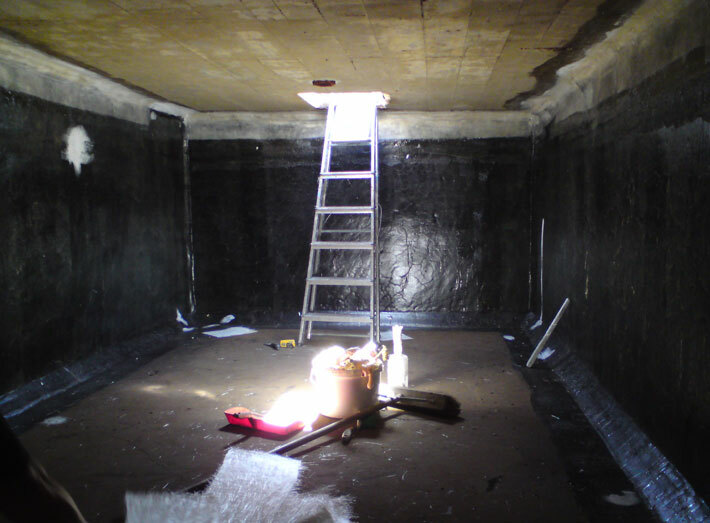 Inside the rectangular concrete water storage tank, fibreglass repairs are made to cracked areas. 4. Large missing areas of render can be simply moulded around, saving on the cost of replacement. 5. 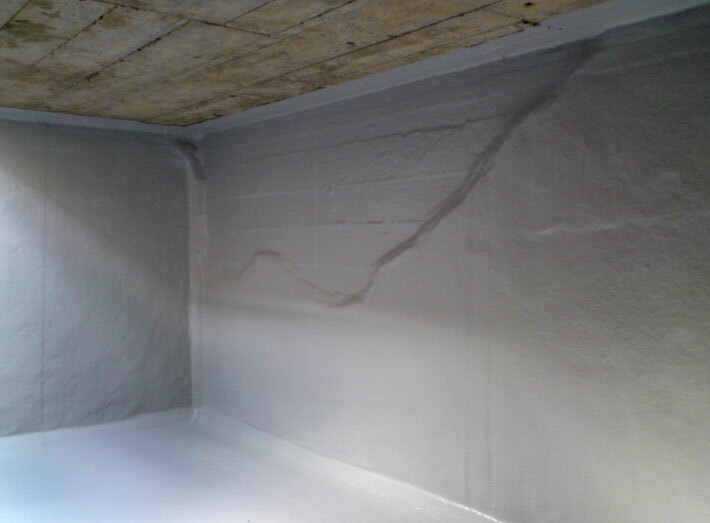 Completed fibreglass lining, sealing all cracks, economical and hard-wearing. 6. 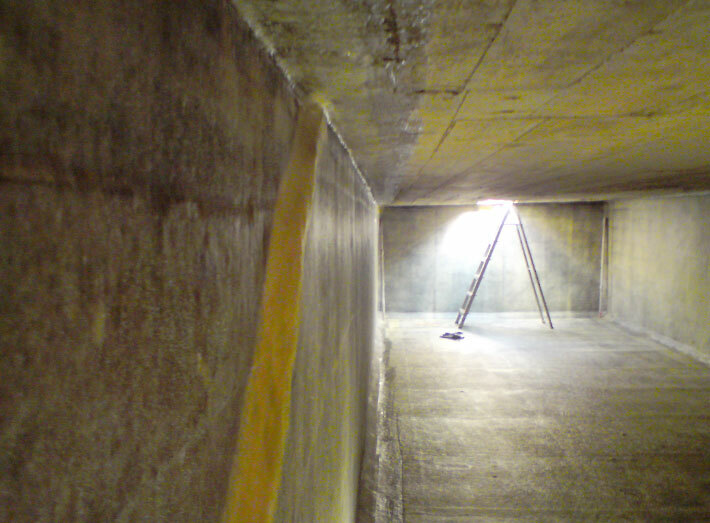 Prior to lining, the damaged areas of water storage tank walls. 7. Completed waterproof lining, sealing all cracks. 8. 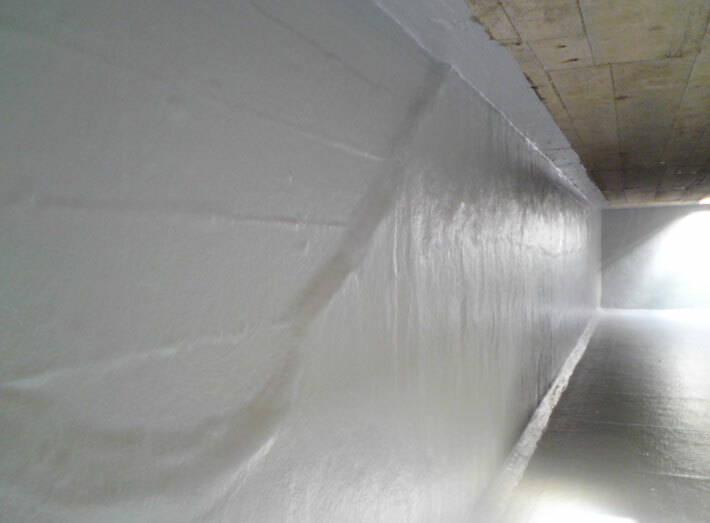 Completed GRP lining system, installed under a week, despite difficult access in Londons busy Chelsea area. Our highly competitive work gives you the best quality results every time – every one of our operatives is highly skilled, well trained and takes exceptional pride in what they do. With Sui Generis, you can rely on effective, long-lasting work. When you choose Sui Generis to undertake work on your behalf, it always complies with and exceeds the standards required by relevant legislation. We always advise you what the regulations require before we start. We take your safety seriously, and that of all our people, whether we're at a small factory or a nuclear plant. We always adhere to stringent health and safety procedures at every stage – and comply with your own Heath and Safety policies. Every job we undertake is completed with your satisfaction in mind. We work hard to be the best at every task we tackle – and that's why over 90% of our customers return to us time after time.